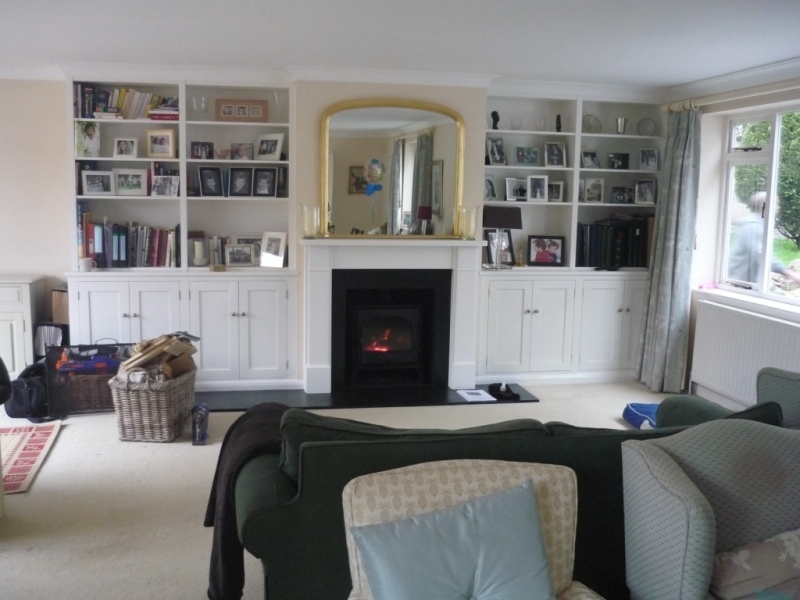 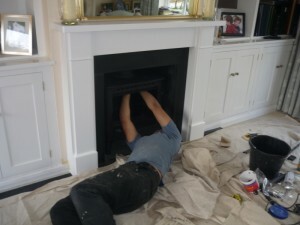 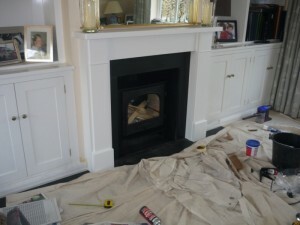 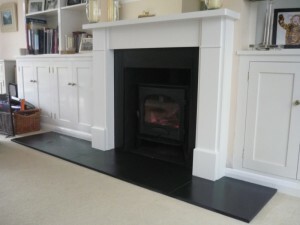 This Stovax Stockton 8 stove installation was in a house in Churt. The client had lived with a out-of-date ‘hole in the wall’ fireplace for a long time and decided finally that enough was enough. A change must take place. The client found The Billington Partnership through one of our developer clients in London and we were delighted to help. 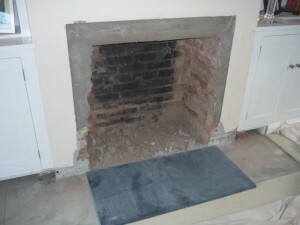 First of all we set about discussing the transformation to a fireplace more in keeping with the room. 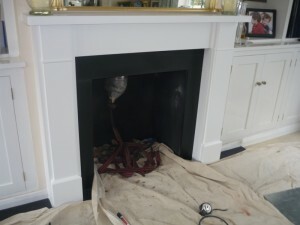 In addition, we were asked to install a stove that was powerful enough to heat the room. 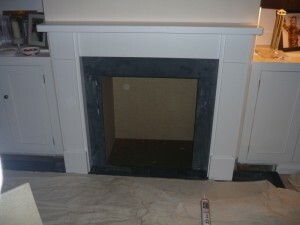 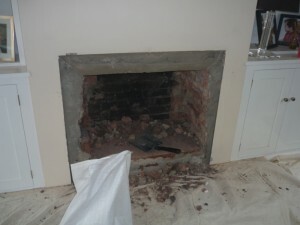 One of the other factors was the previous fireplace had a massive hearth which stretched 100 inches. 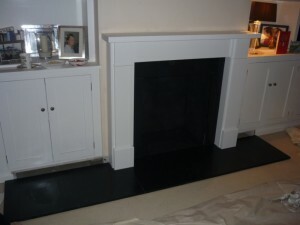 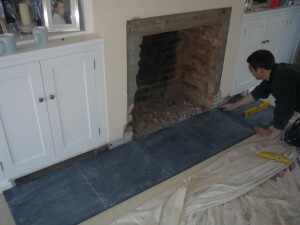 The client did not want to replace the carpet so we installed a fabulous ‘5 piece’ honed black slate hearth to cover the hole in the carpet left by the removal of the previous hearth. 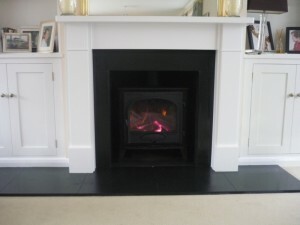 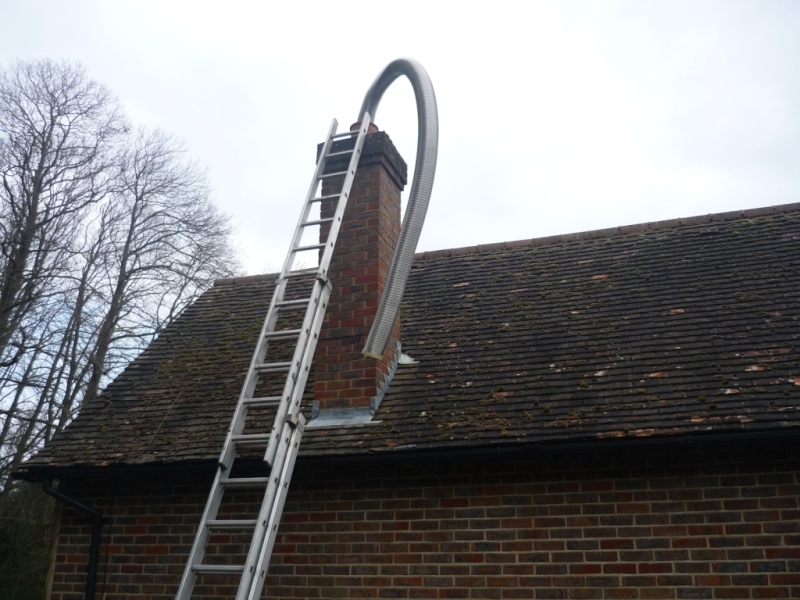 This enabled the client to have their log basket close at hand to put into the wood burner. 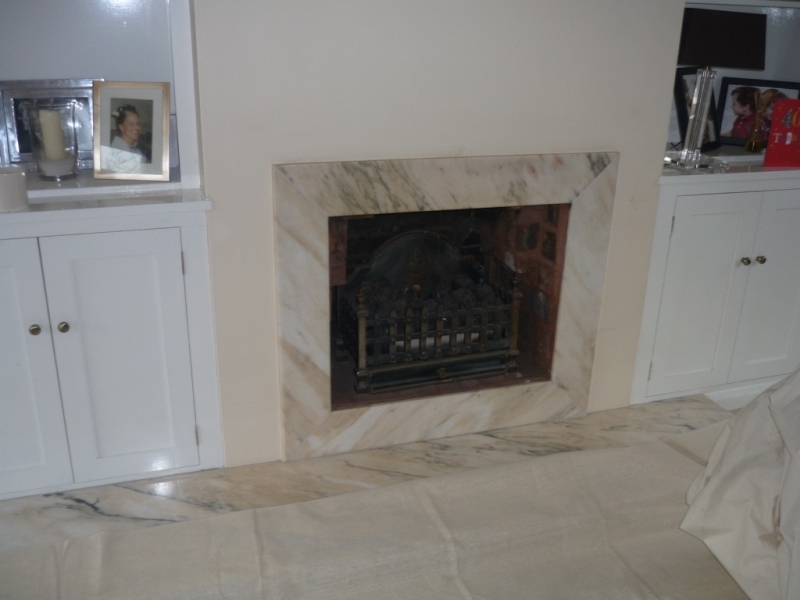 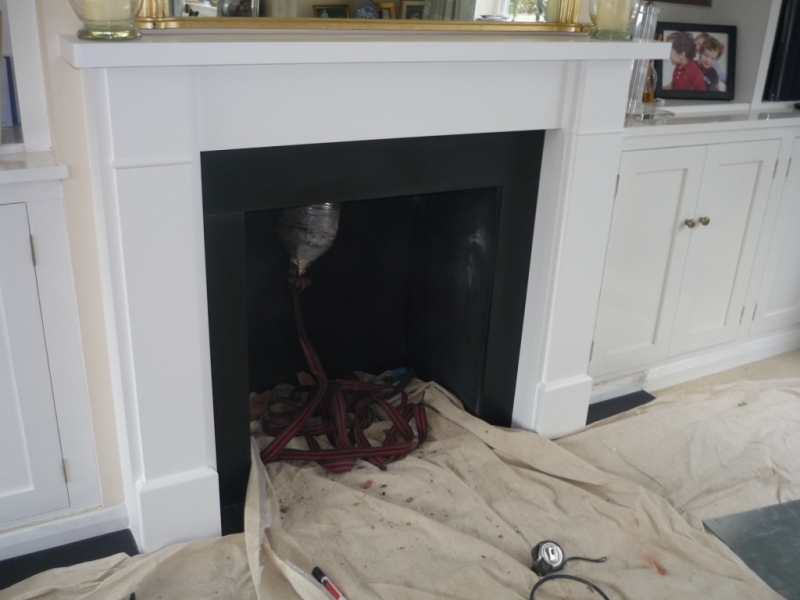 The images show the process of the installation work and also give an idea of the impact that a change of fireplace can have on a room. 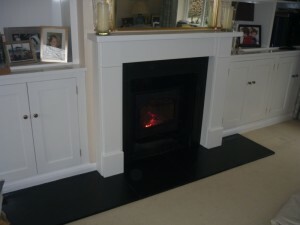 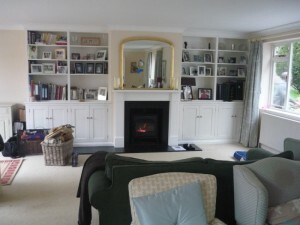 This was a very satisfying installation and the client was thrilled with the end result.